Location based mobile apps are being increasingly used around the world. They provide consumers with immediate access to product or service information, product alternatives, mobile commerce options, tracking applications and push notifications. How does location based mobile apps work? 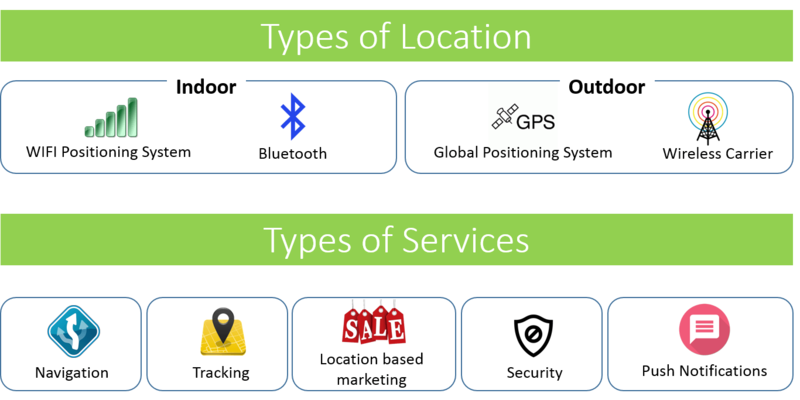 Location based apps rely on indicators such as a WIFI or Bluetooth signal to drive actions. For example, should the smartphone come into proximity of a particular location or WIFI network, a push notification on a nearby sale can be sent to the user. Location based apps are more personal and offer competitive advantage by reaching out to potential customers in the vicinity. Apart from using location based apps just for marketing purposes, it can also be used to develop tracking or navigational apps. For example, logistics companies can develop mobile apps to track their drivers and integrate their work order system in the same application. Large facilities can leverage on mobile apps to provide indoor navigation to their guest, relying on Blueooth beacons placed around the area. JA Security is able to create customized mobile app for our clients. Email info@ja-si.com or call +65 91892707 for more information.